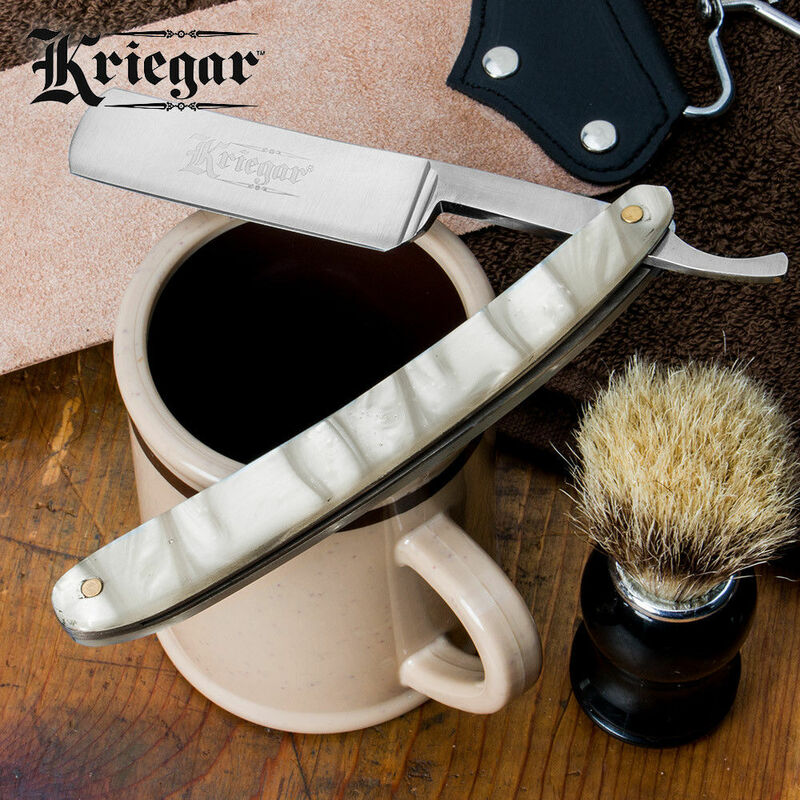 The elegantly appointed Kriegar Vintage Barbershop Straight Razor takes you back to the turn of the century - a time when men were truly men and didn’t need five shielded blades to trim their whiskers. Nothing exudes style and finesse better than an old-school razor, and this sleek, wood or pearl accented folder really shines with its vintage German style and old-world hand-forged craftsmanship. 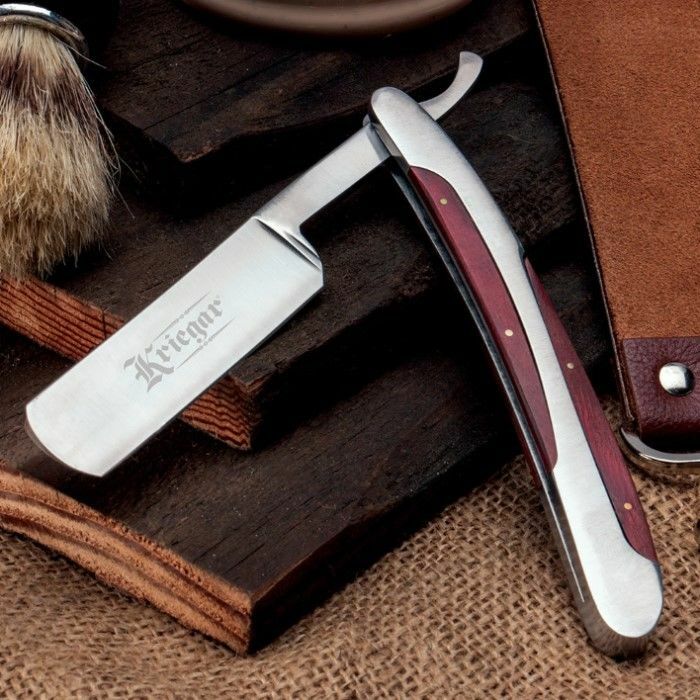 In day-to-day cutting tasks when most men reach for their ordinary, dime-a-dozen pocket knives, set yourself apart as a real gentleman of class, character and distinction by brandishing the old-school, super-suave Vintage Barbershop Razor. Its 3" mirror-polished stainless steel blade is ample for typical cutting jobs, and it displays beautifully on any bookshelf, desk, curio case, mantle, etc. 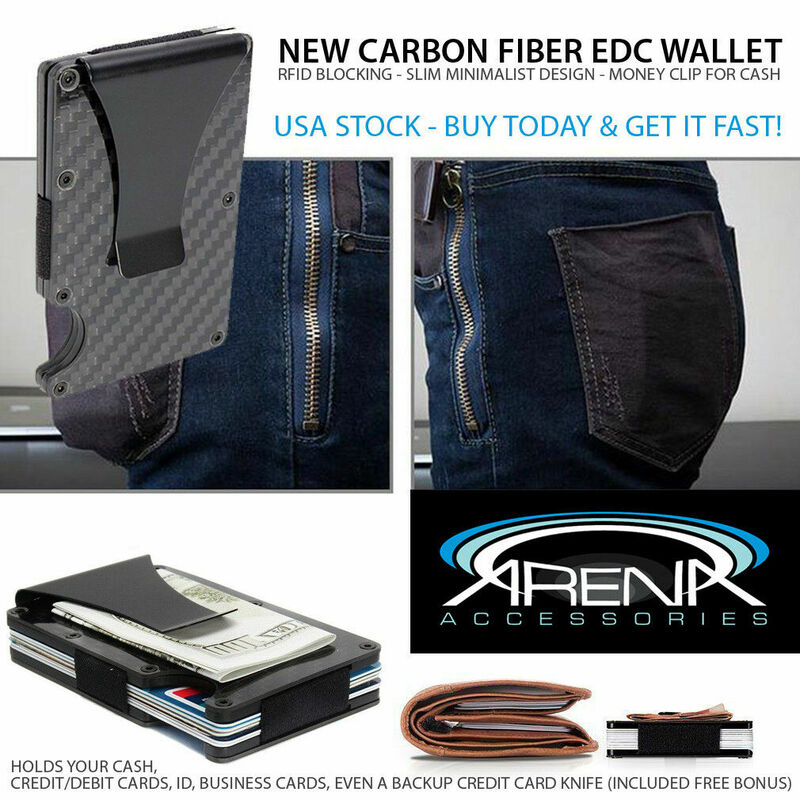 At this impossibly low price, it's painless to get two - one to carry and one to showcase. Better yet, get three and give one away! It's sure to be the gift everyone remembers, no matter the occasion. The Vintage Barbershop Razor includes a custom-embroidered velvet bag that's every bit as cool as the straight razor itself. Measures 9 5/8" overall.